(2) Detailed market analysis and business strategy to more sustainably fund the Ingrid School in Kenya. Mission Statement: The mission of Student U is to empower students in the Durham Public Schools to own their education by developing the academic skills and personal well-being necessary to succeed in college and beyond. ​Mission Statement: The Art Therapy Institute (ATI) is an organization of mental health professionals dedicated to the healing power of the arts. We provide clinical art therapy services to diverse populations, empowering clients to develop their identities through the art-making process. We also offer training to allied professionals and seek to raise awareness in the general community about our profession and the benefits of arts-based therapy. Project Overview: The Art Therapy Institute serves over 500 clients each year, most of whom represent marginalized, under-resourced populations including but not limited to: refugee and immigrant women and children, adults with severe and persistent mental illness, children with chronic illness and emotional/intellectual disabilities, homeless single parents, victims of sexual violence, and elderly adults living with Alzheimer’s and dementia. Over 99% of these clients receive weekly art therapy services at no cost to the client. Within the current political environment, many of these populations are at more risk than ever and funding from federal resources including arts-, education-, and health-based grants are in danger of being cut or left un-renewed. Additionally, Medicaid funding, which pays for the majority of our clients, is also at risk at being drastically limited in North Carolina. By helping with capacity building (including creating a comprehensive sustainability plan), and/or aiding ATI in increasing marketing strategies and visibility within the greater community, DISI would enable ATI to continue providing critical therapeutic services to communities in need. ​Mission Statement: NCCADV leads the state’s movement to end domestic violence and to enhance work with survivors through collaborations, innovative trainings, prevention, technical assistance, state policy development and legal advocacy. Project Overview: NCCADV is a statewide advocacy organization providing information, assistance, and programs to a wide variety of stakeholders, from individual domestic violence survivors and community-based direct service providers to local businesses, universities and members of the General Assembly. They offer a free database system to all domestic violence and sexual assault agencies in North Carolina that allows for tracking of program data and easier reporting for funders. Though this is available for free, many agencies are not taking advantage of this service. They need to understand the needs of these agencies and create a marketing plan. Understanding the needs of the agencies will help them to ensure the system is meeting their needs and having a marketing plan will help them to communicate the availability of the database to them effectively. Mission Statement: The company's mission is to build magnificent pipe organs, and enhance them through time, always with the highest standards, to empower the untamed organist and his audience to create contemporary and traditional music that may ultimately bring harmony and joy to the soul. ​Project Overview: This is a project co-branded with APD Consulting Club. 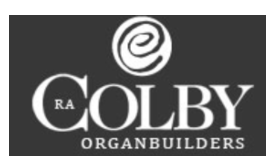 The goal is to assist RA Colby, a family owned pipe organ manufacturer located in TN, reevaluate its overall business strategy. The project consists of multiple segments, including competitor analysis, customer analysis, and franchising strategy. The project this term will focus on customer analysis, including identifying the customer base, listing and analyzing current and potential clients, and collecting customers’ preference data. In this project, you may interact heavily with RA Colby’s potential customers, and provide your business insight to RA Colby. Part of this project will be finished by another team during the summer (6-week project). Once this part is complete, our team will jump into a new project, working on interpreting the data collected, making recommendations on positioning, and evaluating franchising strategies. ​Mission Statement: We provide clothing to impoverished and homeless schoolchildren in Wake County. Note In The Pocket believes that it is unacceptable that children are limited in their educational and social development because they do not have appropriate clothes for school. Through our partnerships with schools, agencies, individuals, businesses and foundations, we clothe children with dignity and love. 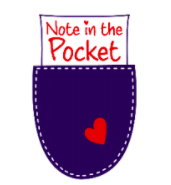 Project Overview: Note in the Pocket’s program is an innovative identification and delivery system that provides mini-wardrobes to homeless and impoverished students in Wake County. Wake County School System consists of twelve cities and towns where over 53,000 students are living below the poverty line. They currently deliver the clothes to the schools and agencies that request them but they are rapidly receiving more requests than the schools have room to receive. They need to develop alternative clothing distribution containers or locations that will help the agencies and social workers receive the volume of clothes requested. Mission Statement: Don’t Waste Durham works to reduce trash going to the landfill from our community. ​Project Overview: With the funds from a successful Kickstarter Campaign, this summer Don’t Waste Durham is launching GreenToGo, a returnable takeout container service. GreenToGo eliminates take-out trash by allowing members to check out durable, reusable takeout containers at participating restaurants. Used containers are returned at drop-off bins throughout the city, then washed and sanitized in a commercial wash facility before being returned to the restaurants via solar/pedal-powered vehicles. Part of the GreenToGo member retention plan is making sure the members know what kind of impact they have had on our local environment (trash diverted from the landfill, water saved, greenhouse gasses reduced, fuel-use, etc), and Don’t Waste Durham needs DISI’s assistance determining the best way to calculate those impacts and communicate them to their members. 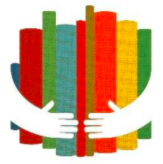 Mission Statement: Book Harvest provides books to children who need them and engages families and communities to promote children’s lifelong literacy and academic success. ​Project Overview: Book Harvest needs a database to manage their Book Babies program - this database will contain data for each home visit staff members complete. These data will be used in both external and internal reports. They need help from DISI to create a database that allows greater ease of data entry and data reporting. 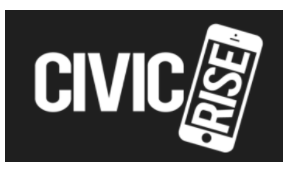 Mission Statement: CivicRise is developing technology to mobilize effective, sustained and measurable civic engagement. ​Project Overview: CivicRise is a smartphone app that allows individuals to subscribe to important causes and receive timely calls-to-action on urgent issues they care about. As a startup, we are focused primarily on building our base of customers and users in order to prove our business model and demonstrate growth. However, there is an important and fascinating other side to this, which is to explore how we can leverage CivicRise to motivate users to take action more frequently and effectively. We would love the support of a DISI team to explore this issue from various perspectives, including behavioral science, economics, design thinking, and others. Read more about our most recent projects here. Keep updated with all DISI news on Facebook and by joining our listserv.